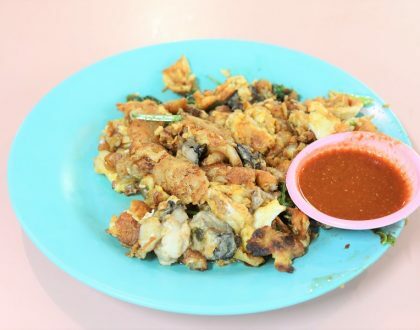 There is no stopping of new makan places opening up in Singapore, with ‘eating’ considered as one of Singaporean’s top favourite pastime. The two IRs Resorts World and Marina Sands, and new shopping malls like Ion Orchard, 313 @ Somerset, NEX, Marina Bay Link Mall has brought us exciting new food choices. 2010 is the year of new eateries, with an estimated thousand restaurants set up this year. 2010 is also a year of food trends, with Taiwanese bubble tea, Japanese ramen, Shanghainese Xiao Lao Bao, fast food offering burgers, fried chicken and fries taking centre stage. Singaporeans also like to take their time in the fast-moving city, and we start seeing more cafés, tea places and dessert houses. Daniel rounds up some of the best newcomers in 2010, which brought us our favourite ramen, xiao long bao, desserts, fries and hawker food. Ramen fans should be familiar with Ippudo, started by Ramen King Shigemi Kawakara, which attracted queues at its branch at Mandarin Gallery and created a ramen crave. Count the number of new ramen places in 2010. With a shorter queue, more vibrant environment, Kushiyaki, and the two Tao signature ramens Kuro (Black) and Aka (Red), this is one red hot Ramen place that leaves you slurping your ramen broth to the last drop. Husband and wife pair Kenneth and Delphine gave up their daily jobs to set up this modest and characteristic cafe at Ang Siang Hill. The Japanese inspired cakes are divine. My love was Kinabaru layered with flavours of light coconut mousse, bright yellow passion fruit crème and a soft chocolate base. Its delicate taste would melt in your mouth, blow you away and send you to dessert heaven. Foie Gras and Cheese Xiao Long Bao may not be everybody’s style of XLB. 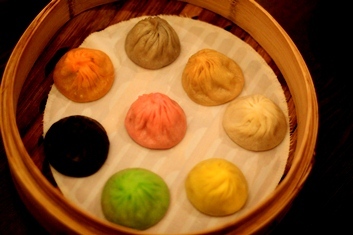 This multi-flavoured Xiao Long Bao has trilled XLB fans, each dumpling promising to stimulate taste buds and thrill senses with the multi-coloured offering. To ensure the optimum tasting of the distinct flavours, you have to start eating with the white original flavour, moving along to more adventurous Black Truffle and Cheesy, ending with the reddish Szechuan dumpling. Rock & Ash redefines fast-food, with a casual, cosy restaurant setting with service counters like a fast food outlet. The made-to-order thick-cut golden fries were crispy on the outside and fluffy on the inside, making it a really addictive snack. This newcomer at Marina Link has lots of potential, offering exciting homemade dips from wasabi mayo, black pepper, mayo and chilli to the rather peculiar chocolate and lemon curd sauces. Hawker Stall – Ah Tai (Chinatown)Surprise surprise, you can find delicious and genuine Taiwanese delights right here at Chinatown Complex Market. Ah Tai serves homely Taiwanese fare, takes time to serve you your chicken cutlet, along with friendly Taiwanese customer service. A crowd pleaser was braised pork rice and mee sua. 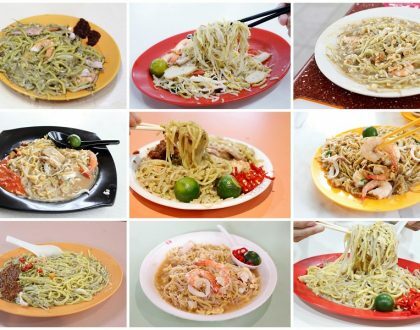 The vermicelli was probably the best I tasted in Singapore. 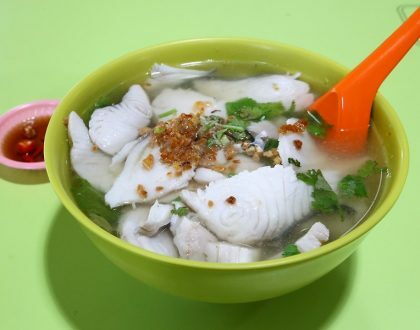 It was no wonder because the mee sua was imported directly from Ah Zong Mian Xian which had a reputation unsurpassed in Taipei.